Tired of worrying about your blood sugar? With GBC2—the natural blood sugar support supplement—you can help improve your A1c levels and maintain normal blood sugar…quickly, safely, and easily. Try GBC2 to help..
Natural “CHEAT PILL” gets to work in just 7 days— guaranteed! Then please pardon the interruption. This life-changing message is not for you. But if you’re looking for a powerful blood sugar solution that fits into YOUR lifestyle—not the other way around—then don’t move a muscle. Because in the next 2 minutes, I’m going to prove to you, with scientific certainty, that you can enjoy PERFECT blood sugar—and everything that comes with it. In short, a highly respected naturopathic doctor from San Diego has uncovered an astonishing solution to your blood sugar frustrations. The cherry on top is that it could also help you shed as much as 18 pounds and 5 inches off your waist, by forcing stubborn belly fat to be burned for energy. You can do it all—without eating less or exercising more. A carefully controlled study published in the medical journal Metabolism recently proved that you don’t have to starve yourself or do a single stitch of extra exercise to achieve perfect blood sugar. Do that, they say, and you can keep your blood sugar worries at bay. Decades of research shows that diet and exercise have a powerful effect on your body’s ability to balance blood sugar. It may sound easy as pie… but you know from hard experience that it’s NOT. In fact, it sometimes feels like you’re swimming upstream, no matter what you do. That’s why today, I’m excited to announce that there’s a much easier way. It’s unlike anything you’ve tried before—and I think you’re going to LOVE it. You can cheat your way to perfect blood sugar with a natural “CHEAT PILL” that gets to work in just 7 DAYS—guaranteed! Of course, I don’t expect you to believe such a bold promise without seeing the facts for yourself. In truth, I was skeptical myself, at first. But now that I’ve scrutinized the data, I’m 100% convinced. The natural “cheat pill” is without a doubt the REAL DEAL—and I’ll prove it to you, fact by fact, in this short report. Keep in mind, the “cheat pill” is not a drug. And it’s not part of some complicated protocol either. Just one “cheat pill” at mealtimes gives you all the benefits of dieting and exercise—without starving yourself or exercising like a fiend. Of course, exercise has a ton of health benefits, so you want to stay active. And everyone knows you can’t binge on fried chicken every day and expect to stay healthy. My name is Allison Davis. I work closely with one of the world’s most esteemed experts in natural medicine—Dr. Mark Stengler—whom you may have seen on his popular PBS television show. Dr. Stengler has helped thousands of patients achieve optimal health by focusing on the root cause of health concerns—not just the symptoms. His practice is based in San Diego, but he also heads up the research team here at BestHealth Nutritionals—one of the leading nutraceutical companies of its kind in the U.S.
Today, with your permission, I’ll reveal how Dr. Stengler’s 30+ years of experience can help keep you free from blood sugar concerns. Thanks to his painstaking research on the “cheat pill”, you finally have a solution that fits into your lifestyle—not the other way around. And you can rest easy at night, knowing that it’s natural. For centuries, its near-miraculous ability to help keep blood sugar balanced was a carefully guarded secret of a small Himalayan tribe. The scientists who studied it were STUNNED by the results. It helps activate a crucial enzyme in your body that is responsible for keeping your metabolism working like a well-oiled machine. It is quite simply the key to achieving perfect blood sugar. And WHAT you must do to re-activate it. Because if you want to be free of blood sugar worries… if you want to put an end to the pointed looks from your loved ones… then you can’t afford to ignore this life-changing message. The enzyme is called AMPK—and it controls what happens to sugar molecules when they enter your bloodstream. Let’s say you eat a delicious bowl of spaghetti for dinner. While you’re busy smacking your lips and deciding whether or not to have seconds, your body is quickly flooded with sugar, causing “rush hour” in your bloodstream. Immediately, AMPK springs into action and starts barking orders. First, it directs your pancreas to make insulin. Then it tells your natural insulin to help sugar molecules get from the bloodstream into your muscle cells. Once the sugar is inside, it is burned for energy. Thanks to AMPK, “rush hour” is over… and your blood sugar remains in the healthy range. No dips. No fuss. In a perfect world, that’s the way it should work. Just like it did when you were younger. But over time, things change. As you age, AMPK—your internal traffic cop—naturally starts to become INACTIVE. Your cells become “tired”… and start to ignore the effects of insulin. As a result, they don’t have enough sugar to meet your energy needs. At the same time, sugar starts to build up in your bloodstream. And with nowhere else to go, your body is forced to store that excess sugar as fat—mainly in the belly region. Your struggles with weight are NOT your fault! If you’re carrying a few more pounds than you’d like, it’s not because you lack willpower. The real reason is that the AMPK in your body is largely INACTIVE. You see, the “cheat pill” actually RE-ACTIVATES the AMPK that wasn’t functioning efficiently… meaning you can finally get the results you’ve been looking for. ** Your blood sugar stays balanced, so your mood doesn’t yo-yo up and down… and you have enough energy to sail through the day. ** Your body’s natural insulin does its job, so you can enjoy a scoop or two of ice cream, without feeling guilty. What’s more, when your metabolism is fired up, it makes staying in shape a cinch. In fact, the “cheat pill” can help you lose 18 pounds and up to 5 inches off your waist in a matter of just 12 weeks, based on a decrease in your BMI. Ordinarily, you’d have to eat like a bird and exercise obsessively to get those kinds of results. Who has the time (or the desire) to spend hours in the gym each day? And who wants to nibble on kale for breakfast, lunch and dinner? When it re-activates AMPK, your body thinks you’re eating less and exercising more, when in fact you are not. There’s an ingredient in the “cheat pill” that has the incredible ability to mimic the effects of exercise and portion control. And the science behind it is astonishing. In a recent Chinese study, participants were given 1.5 grams of berberine daily. In other words, if they’d been indulging in the occasional sweet treat before the trial began, they were told to continue. Within one week—just 7 days—fasting blood sugar and after-meal blood sugar improved. And their A1c went down by 21%, on average! He’ll be so impressed, I wouldn’t be surprised if he demands to know your secret. The results from the second study were even more extraordinary. 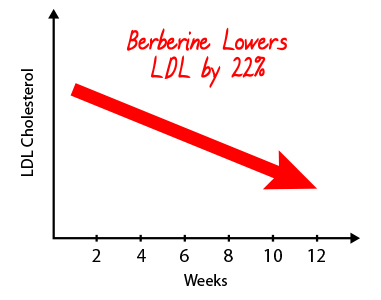 Folks with early metabolic syndrome were given 1 gram of berberine per day for 12 weeks. And again, they were told NOT to make changes to their lifestyle habits. They lost a whopping 18 POUNDS. That’s what a large watermelon weighs! They also lost up to FIVE INCHES around the waist. And they did it without eating less or exercising more. That’s what I love about this amazing blood sugar solution. And more time enjoying life with your loved ones. It means you don’t have to feel guilty about every tasty morsel you eat. And as for your energy levels… I wouldn’t be surprised if your grandkids run out of steam before you do. When the AMPK in your body is re-activated, you’ll feel like the old you again… before your metabolism grew sluggish and your energy levels waned. That’s why Dr. Stengler included berberine in his extraordinary blood sugar formula called GBC2. I call GBC2 the “cheat pill” because it’s the ONLY natural way to get staggering results—without depriving yourself or spending hours in the gym. And more time to do the things you love. Plus… as an added bonus, you’ll be astounded by the changes you see in the mirror. Not to mention up to 5 inches off your waist! And Denny Cooper, a small business owner from Jackson, Tennessee was shocked by how well and how quickly it worked. Until they tried GBC2, these folks were just like you. But now… with GBC2 on your nightstand, the possibilities are limitless. …Including those delicious mashed potatoes your daughter makes. And you can finally fit into your “thin jeans” again. I should caution you, though. 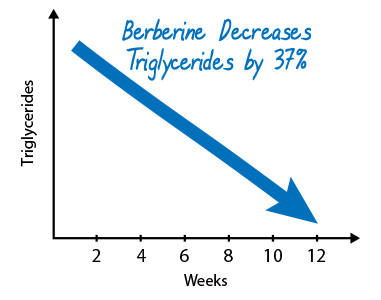 Berberine must be taken in the perfect dose, or it simply doesn’t work as well. 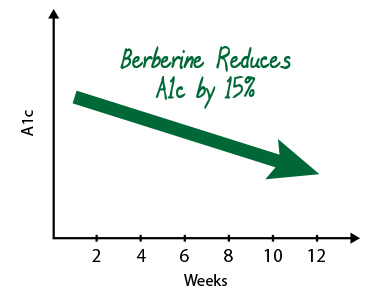 Many formulas contain half—even a quarter—of the berberine you need to get the maximum benefit. 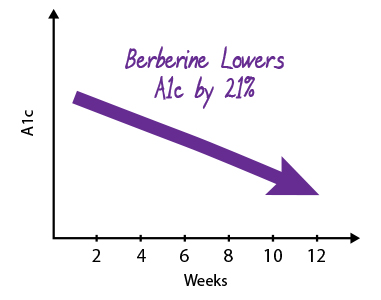 That’s why Dr. Stengler spent months researching the ideal dosage of berberine to include in GBC2… and decided on a full 1 gram. But first, you need to know that berberine is not the only ingredient in Dr. Stengler’s new formula. There’s one vital mineral that makes the perfect companion to berberine. So even if your diet is healthy, chances are you’re deficient. And that’s a problem… because when you don’t have enough of it, sugar can’t easily get into your cells. Remember, your body’s natural insulin helps sugar get from the bloodstream into your cells. Insulin molecules need receptors to land on before the membrane will open up… and sugar can move freely into the cell. This mineral is believed to increase the number of receptors on your cell membranes. The more receptors you have… the more sugar gets transferred into your cells… the more energy you have. Now, the mineral I’m talking about is chromium. You may have heard of it before. You might even be taking it already. Most store-bought supplements contain chromium picolinate—a form of the mineral that can actually interfere with your chromosomes. But according to an FDA review, chromium polynicotinate, or CPN, doesn’t affect your DNA. CPN is also biologically active... meaning your body can absorb and process it more easily. When insulin is working properly and your cells are fed enough sugar, you feel energetic and youthful, day after day. And because there isn’t a build-up of sugar in the blood, your body doesn’t have to store excess sugar as fat. That means a leaner, younger, happier you. That’s why Dr. Stengler included CPN in GBC2. Each small capsule contains a delicate balance of berberine and chromium in precise, scientifically-calculated dosages. Dr. Stengler could have left it at that… and GBC2 would be enough to end your blood sugar concerns for good. But there’s one other ingredient he included in GBC2—and it has a powerful effect on your insulin levels. It’s called curcumin, which is the active compound in the spice turmeric. The science is complicated, but all you need to know is that curcumin works by breathing new life into “tired’ pancreatic cells. The more natural insulin in your bloodstream, the easier it is for your blood sugar to remain in the healthy range. In one study, participants were given curcumin or placebo. After 9 months, 1 in 6 of the test group showed signs of metabolic distress. But NONE of the people in the curcumin group did. Curcumin is the perfect addition to berberine and chromium, which is why Dr. Stengler included it in the GBC2 formula. And how berberine activates AMPK, improving your A1c, triglycerides, LDL and even your weight—without having to exercise vigorously every day or deal with hunger pangs. You’ve also heard about a special form of chromium that magnifies the effect of your natural insulin by increasing the number of insulin receptors on your cell membranes. That means sugar can easily move from the bloodstream into your cells where it can be burned for energy. And with less sugar in your blood, your body doesn’t have to store it as fat. And last but not least, you’ve learned how curcumin helps breathe new life into “tired” pancreatic cells. Combined together in the perfect dosages, the ingredients in GBC2 can help you achieve perfect blood sugar, with no additional effort. And the best part is that you can actually feel it working. It’s not like drinking milk to keep your bones strong… or eating blueberries to support your immune system. Because frankly, how do you know for sure that they’re working? But with GBC2, the results are tangible. You’ll see the menu at your local restaurant in a whole new light… because who says that heavenly crusty bread is off limits? You’ll have the energy to work in the yard all afternoon… and still help out with dinner. No more Mr. Cranky-pants when you’re hungry. No more worrying about your next checkup. And don’t forget… you could lose 18 pounds and up to 5 inches off your waist. Meaning you could drop at least 2 pants sizes—without even trying. Plus, you’ll feel more energetic… and enthusiastic about your future. Of course, we love hearing from ordinary folks about how much GBC2 has changed their lives for the better. These men understand that maintaining healthy blood sugar isn’t simple. That’s why Dr. Stengler made sure GBC2 covers all the bases, not just one. The “dream team” of ingredients gives you the confidence you need to stop worrying about blood sugar. And it helps force unwanted belly fat that is trapped in your body to be burned for energy at a staggering pace. It can even help with your blood pressure. Without eating less or exercising more. The smart thing to do is secure your supply of GBC2 right now. Because I guarantee it will work for you. And Dr. Stengler says his patients report feeling a difference within 14 days. I have no doubt you’ll experience the same thing. As your doctor may have told you, A1c is a measure of your blood sugar levels over a 3-month period. In other words, measuring your A1c only one month after starting GBC2 isn’t going to give you the whole picture. That’s why we recommend ordering an initial 90-day supply of GBC2—risk free. GBC2 comes in small capsules, for easier swallowing… and it’s 100% non-GMO. But before you make your decision, there’s one thing I should warn you about. GBC2 is one of Dr. Stengler’s most popular formulas—and it flies off the shelf at a remarkable pace. Frankly, we just can’t keep up! That’s why, right now, our supply of GBC2 is not nearly enough to help every person reading this report to achieve perfect blood sugar. …reserve your personal 90-day supply of GBC2, right now. Please don’t put it off—because there’s no telling when we’ll run out. And I would hate to have to put you on a waitlist. Just click the Add to Cart button to access the order form, which has been verified “SECURE” by one of the largest cyber security networks in the world. When you order GBC2, it won’t be long before it arrives on your doorstep in a discreet package—to protect your privacy from prying eyes. Just think… it could be a few short weeks before you start feeling the incredible effects. Perfect blood sugar… more energy… and a sleek, youthful body that is sure to turn heads. I also recommend you make an appointment with your doctor 90 days after your GBC2 arrives. That way, your A1c score will more accurately reflect your progress. But I don’t expect you to take my word for it. So if you’re not completely satisfied with your results—at any time—we’ll gladly refund you every cent of the purchase price. When I say anytime, I mean it. You can ask for a refund 2 years from now, if you want to. Our money-back guarantee is something you can count on. We’ve been in business since 1996—and our reputation is built on it. Just give us a call and you’ll get your money back. No gimmicks. No fine print. So please click the button below to get your supply of GBC2 today. Save time and money by enrolling in our FREE auto-delivery service. For as long as you choose to take advantage of this service, you’ll never have to worry about missing a single dose. When you’re about to run out of GBC2, we’ll ship you a fresh supply and bill the credit card you use today at the specially discounted price. Of course, if you don’t want to take advantage of auto-delivery, just give us a call. So click the Add to Cart button to claim your supply of GBC2 today. If you are on insulin treatment or taking oral hypoglycemic agents, have a serious medical condition, or are pregnant or lactating, consult a health care professional before taking this or any such products.